The CFINS Recruitment Interview will take place in late August, 2018. You are welcome to join CF1NS Summer Camp. For more information please see our "Admission" page. The 2018 CFINS Summer Camp will be held in Tsinghua University from July 2nd to July 5th. You are welcome to join CF1NS Summer Camp. For more information please see our "Admission" page. 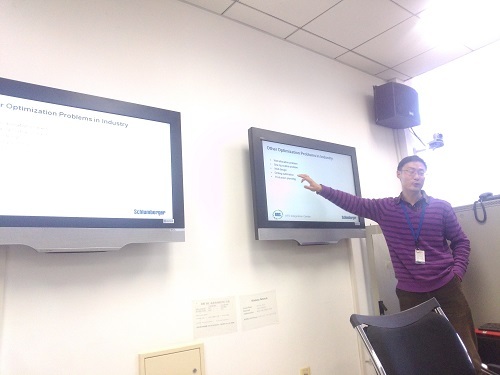 On Jan 16th, 2018, CFINS alumni, Mr. Rui Hu visits CFINS center and gives us a talk about content personalization used in news recommendation system. Brief introduction:：Mr. Rui Hu received his Bachelors degree at Tsinghua University in 2004, then he received his Master degree at Tsinghua Uniersitty in 2006. After his graduation from CFINS, he joined Mircosoft as Senior R&D Director until 2016. 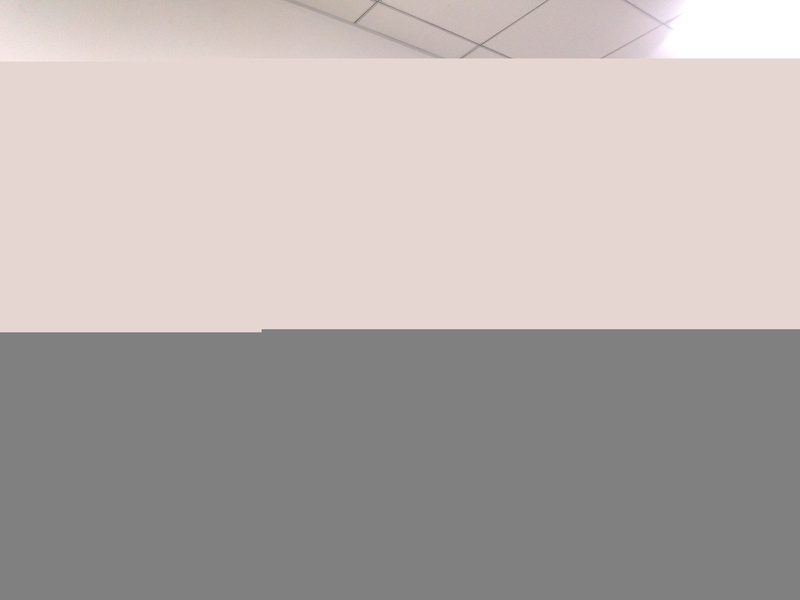 Now he is working for Orcle as VP Technology. 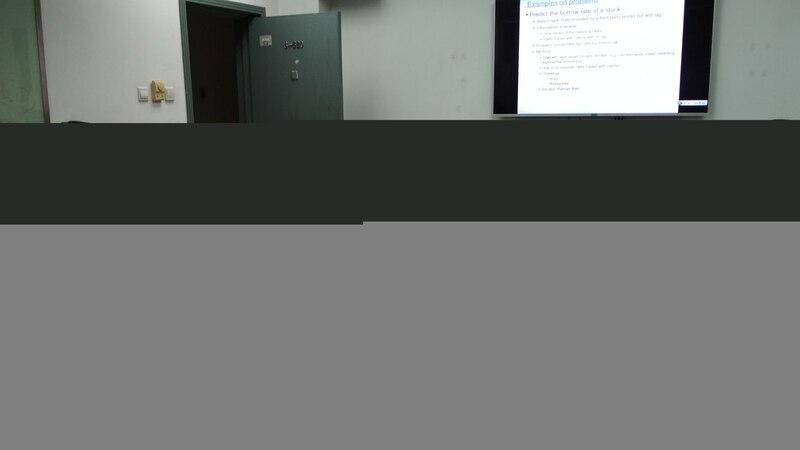 On Ocboter 12th, 2017, CFINS alumni, Dr. Biao Sun visits CFINS center and gives us a talk about the optimization methods used in quantitative trading. Brief introduction:：Dr. Biao Sun received the Ph.D. degree in 2014. After his graduation from CFINS, he joined J.P.Morgan as quantitative trading researcher.His task is mainly for researching and solving the optimization problem in quantitative trading. 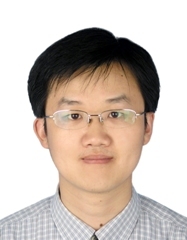 On December 5, CFINS alumni, Dr. Yankai Xu visits our center and gives us a talk about the optimization methods used in oil and gas industry. 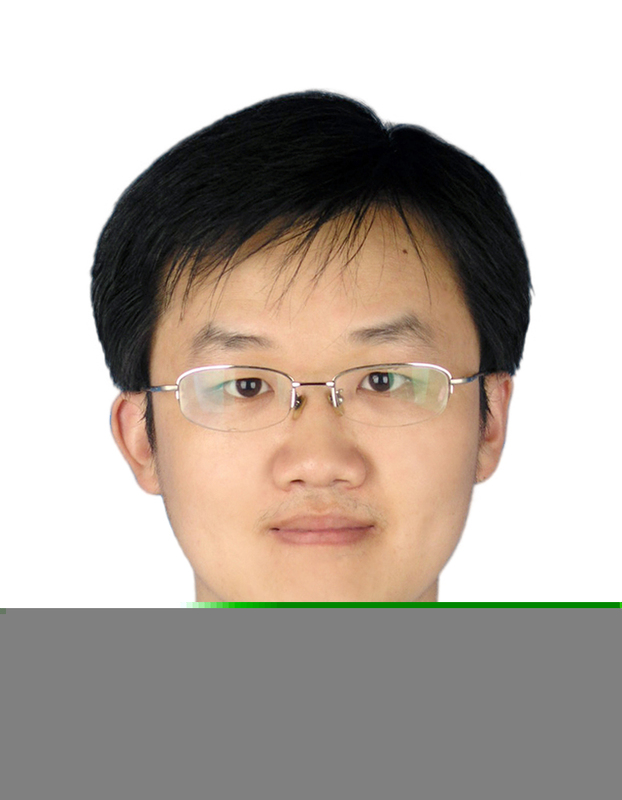 Brief introduction: Dr. Yankai Xu, senior modeling and simulation engineer in Houston Formation Evaluation (HFE) Center, Schlumberger. 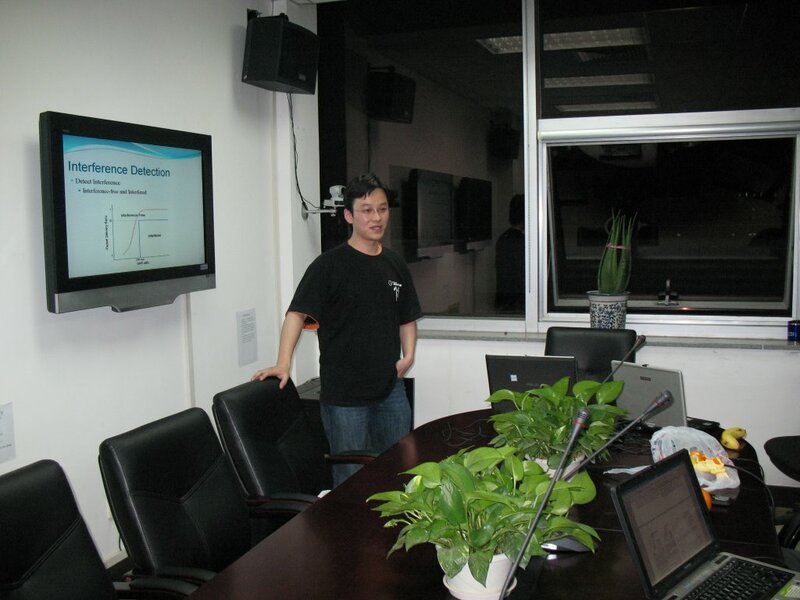 After his graduation from CFINS, Tsinghua University in 2008, he joined Beijing GeoScience Center, Schlumberger as software engineer. And transferred to HFE in April 2014 as modeling and simulation engineer. His task is mainly for inversion engine development for well placement business. 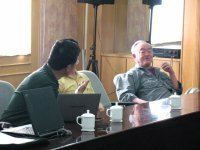 Prof. Yu-Chi Ho arrived at Tsinghua University on September 7th, and will be at CFINS for about four weeks. His office is FIT 3-612. If you want to talk to him, please let him know. The best way is to set up a time via email. Prof. Peter B. Luh arrived at Tsinghua University on May 15th, and will be at CFINS for four weeks. His office is FIT 3-613. If you want to talk to him, please let him know. The best way is to set up a time via email. The special issue on Event-Based Control and Optimization in the journal Discrete Event Dynamic Systems – Theory and Applications will come out soon in hard copy, and is already available online. The editorial is available at http://link.springer.com/article/10.1007/s10626-014-0181-y, which provides an overview to the articles in this special issue as well as the detailed links. 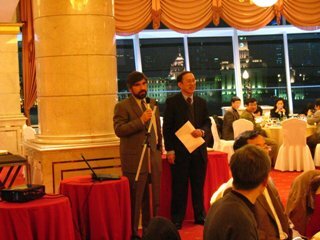 Prof. (Samuel) Qing-Shan Jia and Prof. Kalle Henrik Johansson served as guest editors for this special issue. 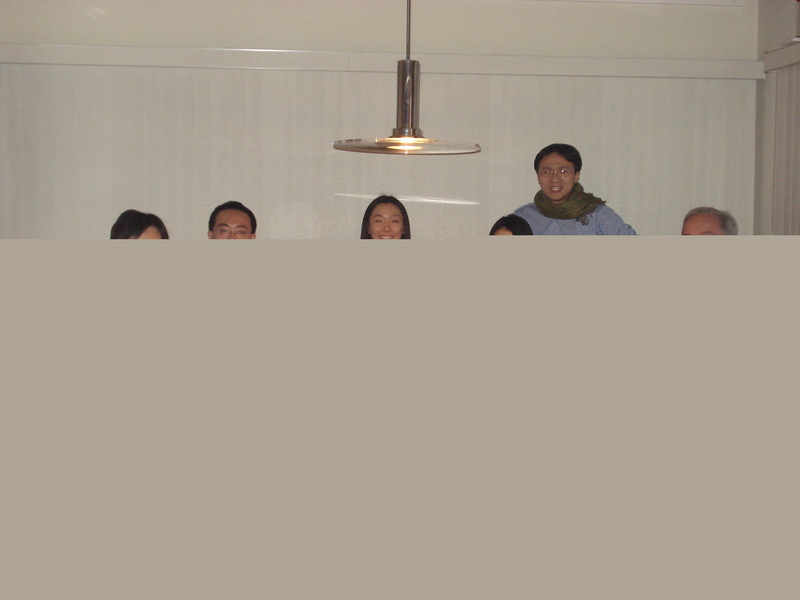 CFINS students Yuan Gao, Ning Ding and Prof. Peter Luh's UConn student Xuesong Lu, together with Prof. Peter Luh, visited Professor Ho in his Lexington Massachusetts residence on January 6, 2014. The students presented their work on building emergency evacuation to Professor Ho, and received invaluable comments on their research and on how to make good presentations. All people there also talked about lives in the States and lives in China (Yuan and Ning are visiting UConn for one year starting last September), Professor Ho's blogs, and being socially responsible in the local or the larger community in which they live. It took about 1.5 hours driving from UConn to Lexington. It rained heavily on the way to Lexington. On the way back, they witnessed a drop of 26 degrees in temperature from 60 degrees to 34 degrees while Yuan was taking a nap, and rain became snow. 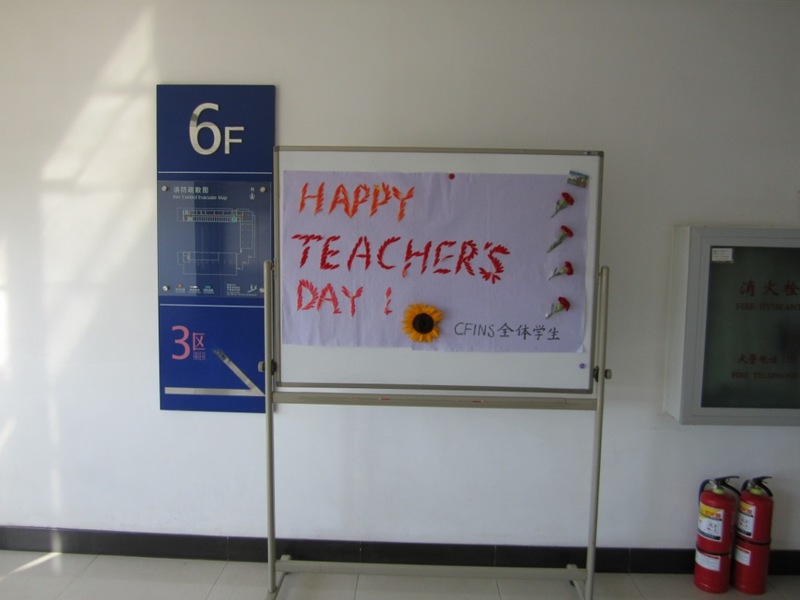 September 10, 2013 was the annual Teachers' Day, students in CFINS has prepared the fresh flowers and the greeting cards, expressing their sincere thanks to teachers. 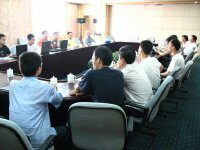 Following the symposium held on Aug. 29, a symposium was held again in CFINS on Sept. 4. Prof. Yu-Chi Ho and many graduate students attended it. 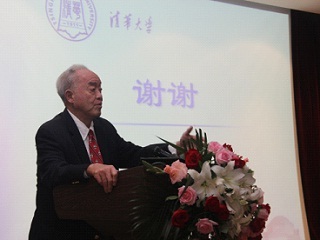 Doctor Li Xia presided over the symposium. Prof. Yu-Chi Ho answered students' more specific questions and gave valuable advice on their research and work. Students benefited a lot. 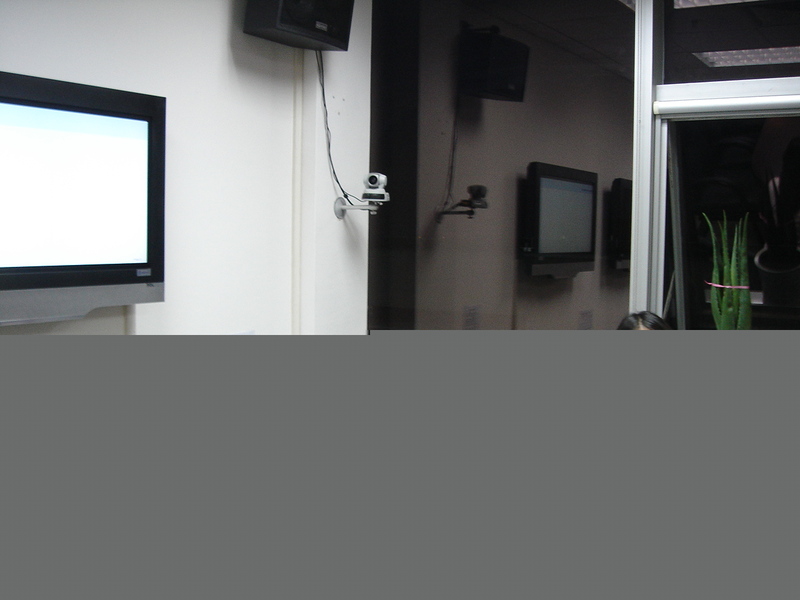 On Sept. 2, 2013, Prof Yu-Chi Ho gave a report about the history of system and control combined with his personal experience. More than 100 students and teachers from Tsinghua University, Peking University and some other research institutes came to this report. Audiences were inspired by the Prof. Ho?? legendary life stories and discussed many questions with him. The whole report was very successful. All participants enjoyed a very precious and wonderful time during it. 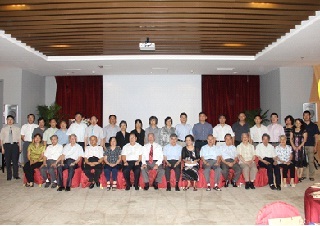 On August 29, 2013, a symposium was held in CFINS. Prof. Yu-Chi Ho and many graduate students attended it. 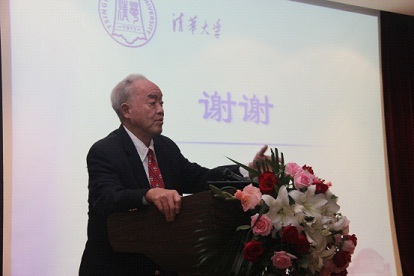 A. Prof. Xi Chen presided over the symposium. Prof. Yu-Chi Ho answered students' questions and gave valuable advice on their research and work. Students benefited a lot. 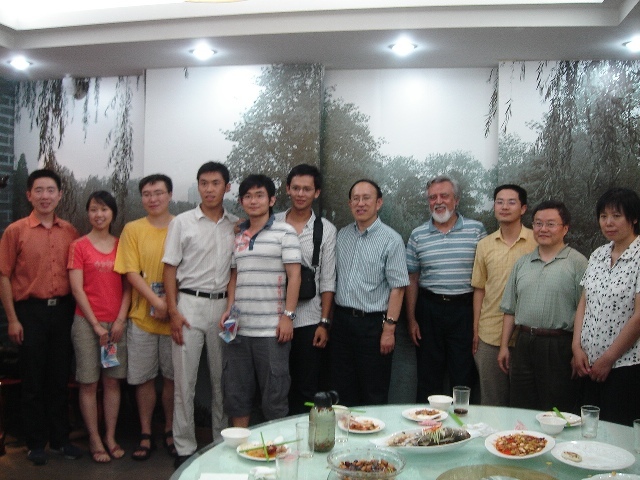 Prof. Yu-Chi Ho arrived at Tsinghua University on Aug. 21th, and will be at CFINS for four weeks. His office is FIT 3-612. If you want to talk to him, please let him know. The best way is to set up a time via email. 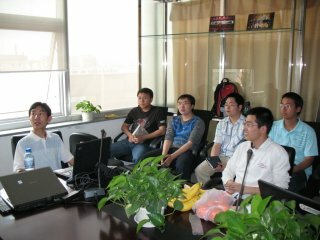 Prof. Peter B. Luh arrived at Tsinghua University on May 17th, and will be at CFINS for four weeks. His office is FIT 3-613. If you want to talk to him, please let him know. The best way is to set up a time via email. The comments from the judges are I have put up a goodperformance and they said my talk was very lively. I have put in a lot ofeffort to prepare the talk, but I have to say that without learning with you, Iwould not know giving a good presentation is so important. Moreover, fromthe Harvard days, I have also learned on how to see things more holisticallyand how to integrate ideas. These have been very important even though they arenot that tangible. (note added by blogger:see my often used quote in On ideas,writing, and presentationhttp://blog.sciencenet.cn/blog-1565-5442.html ?? cannot teach you how to be smart, but I can surely teach you how to write, speak, and present yourself well?? Welcome to join the activities that will be organized by the chapter. 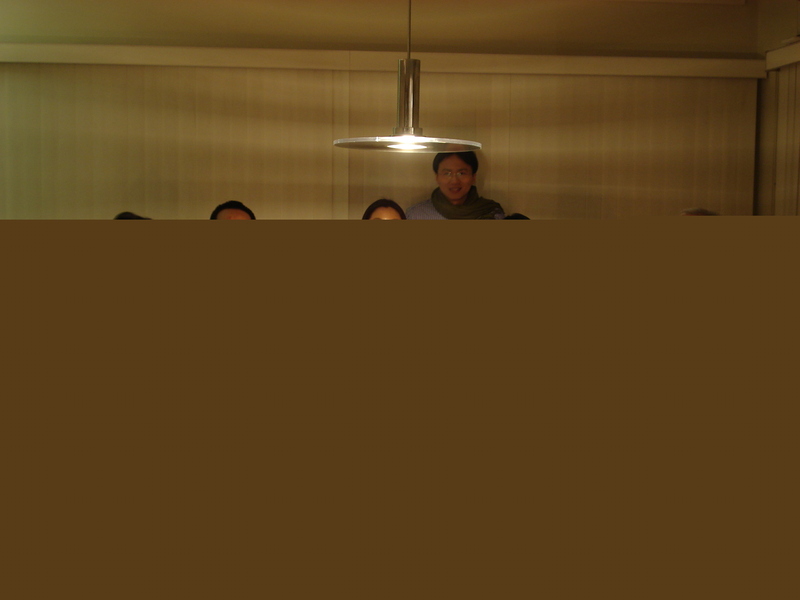 For more information of our chapter, please visit: icbc.amss.ac.cn. Professor Christos Cassandras, many time visitor to CFINS, will be the next elected president of the IEEE Control System Society. 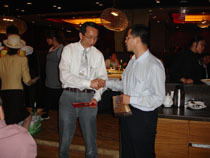 On Sept. 7, 2011, a ceremony is held to celebrate the 10th anniversary of Ho Yu-Chi professional team and the Center for Intelligent and Networked Systems(CFINS) in Wenjin Hotel. There are about 40 distinguished guests and scholars attended the event. 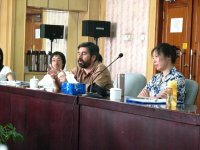 Prof. Guan Xiaohong, Director of CFINS, summarized the progress and achievements in education and research by the professional team and CFINS. In his remarks, Prof. Ho recalled the birth of the professional team and CFINS and shared with the attendees his confidence and wishes to CFINS. President Gu Binglin, Former President Wang Dazhong and Foundation chair Professor Huo Meiying delivered their congratulations and best wishes to the professional team and CFINS in their speeches. 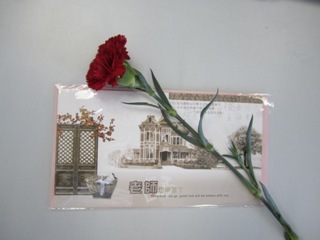 On September 21th, 2010, faculty members & students took a party for the Mid-autumn Festival. September 10, 2010 was the annual Teachers' Day, students in CFINS has prepared the fresh flowers and the greeting cards, expressing their sincere thanks to teachers. 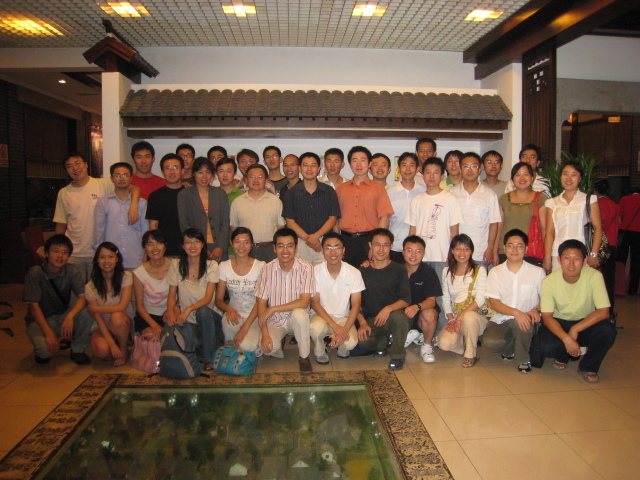 On July 25th, CFINS faculty members and students hold a party for 2010's graduates at Yushuyuan. 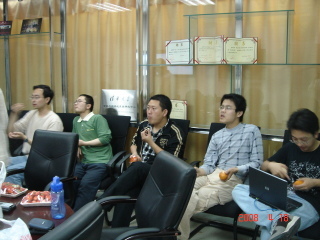 There are three master students graduate from CFINS in 2010. 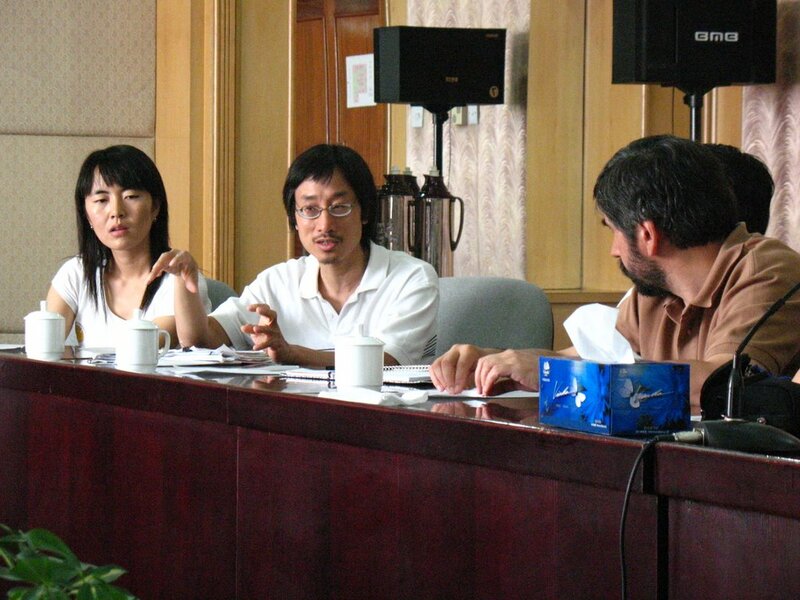 They are: Hong SHEN, Xingshi WANG, and Rui DING. 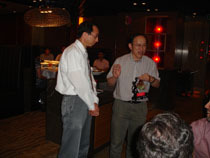 In the evening of June 8, 2010, the 60th birthday of Prof. Peter B. Luh was celebrated at the Xiaonanguo Restaurant in Shanghai after the semi-annual project review of Tsinghua UTC Research Institute for Integrated Building Energy, Safety and Control System. It was a very surprise to Prof. Luh since the celebration was secretly prepared by the faculty and students lead by the CFINS director Prof. Xiaohong Guan. 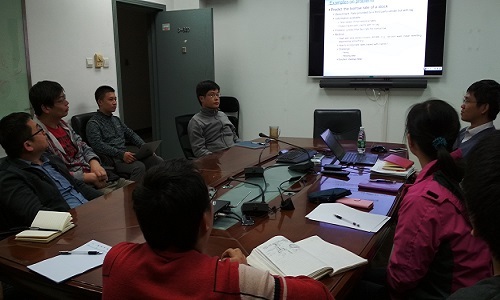 Nearly 50 faculty members and students from Center for Intelligent and Networked Systems (CFINS), Center for Public Security Research and Department of Building Science of Tsinghua University, and senior executives and researchers from United Technology Research Center (UTRC). 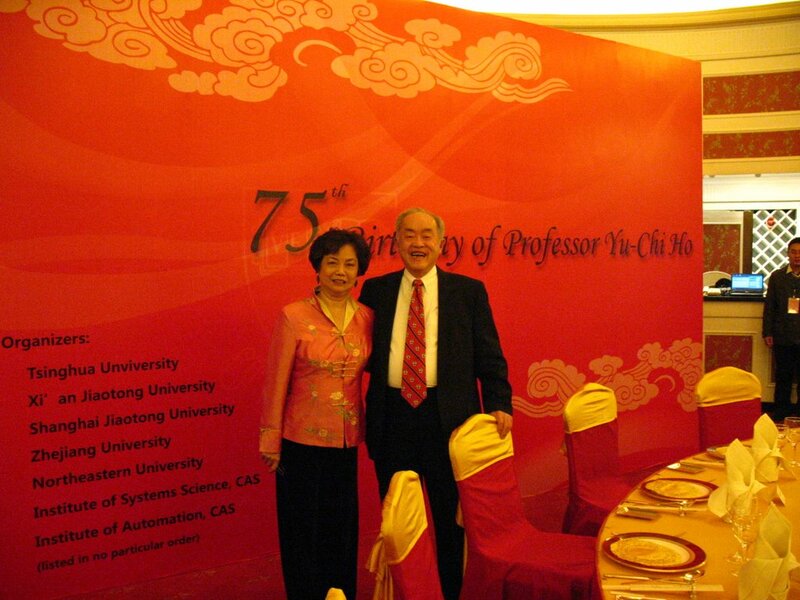 Prof. Guan presided at the activity as the head of CFINS and Prof. Luh Ph. 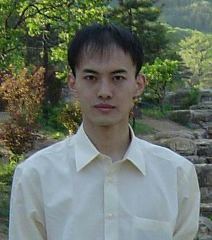 D. student more than 20 years ago. Prof. Guan and Prof. Qianchuan Zhao of CFINS and Dr. Peiyuan Peng of UTRC presented the gifts and best wishes to Prof. Luh on behalf of CFINS and UTRC respectively. Prof. Luh current Ph. D. students, Biao Sun and Yuan Gao, shared their happy stories and pleasant experiences working with Prof. Luh and the best wishes on behalf of all CFINS students. 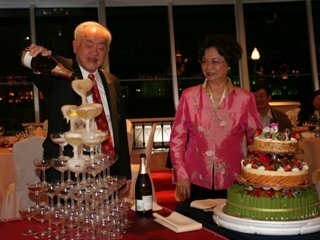 On Dec. 31, 2009, CFINS held a celebration party for New Year's Day . On Dec., 14th, 2009, a banquet was held for the 75th birthday of Prof. Yu-Chi Larry Ho, in the Hall of Europe of Oriental Riverside Hotel in Shanghai. 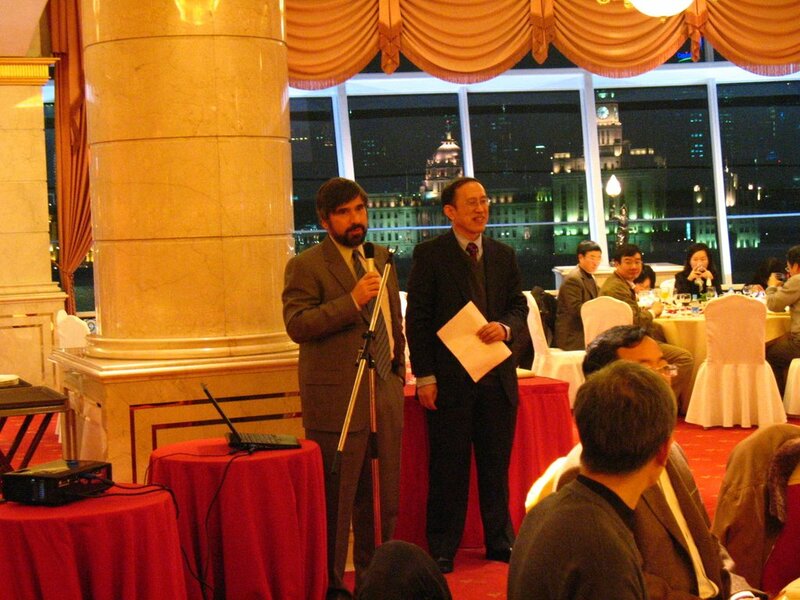 The birthday banquet was prepared by 7 divisions which are Department of Automation in Tsinghua University, School of Electronic and Information Engineering in Xin Jiaotong University, Department of Automation in Shanghai Jiaotong University, School of Information Sciences and Engineering in Northeastern University, Department of Control Sciences and Engineering in Zhejiang University, The Key Lab for Systems and Control, Institute of Systems Science in AMSS, CAS, and The Key Lab for Complex Systems and Intelligence Sciences and the State Key Lab for Pattern Recognition in Institute of Automation. There were nearly 70 guests attending this banquet. Many of them were the students or colleges of Prof. Ho. 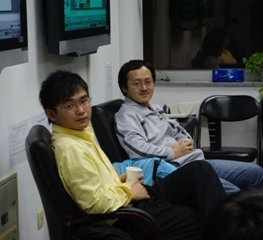 On November 13th of 2009, with invitation from CFINS students, three CFINS PhD graduates, Yongcai Wang (the one in picture 1), Tao Sun (the one in picture 2), Qingshan Jia(the one in picture 3), talked about their view about academic research with CFINS students. 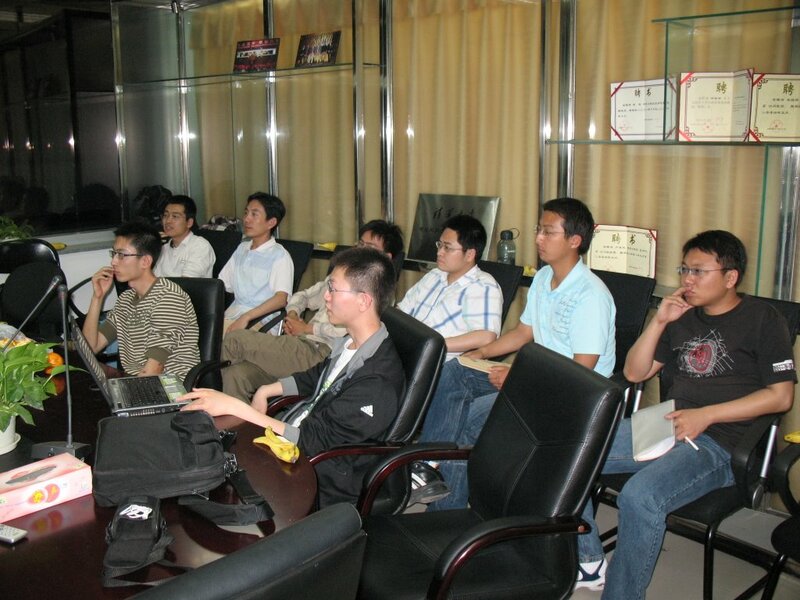 On November 6th of 2009, with invitation from CFINS students, two CFINS graduates, Haifeng Wang (currently working in IBM China Research Laboratory, the left one in picutre 1) and Dianfei Han (currently working in Microsoft's search technology center, the right one in picture 1), came to CFINS talking about how to apply for jobs. 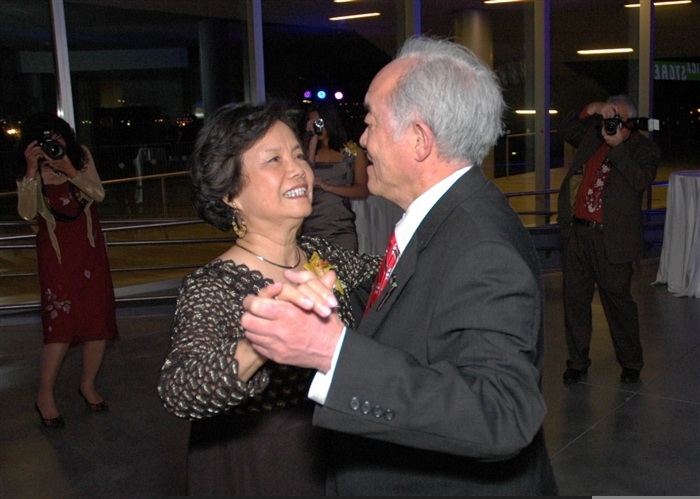 On Oct. 10, 2009 the family members and close friends of Prof. and Mrs. Ho held a celebration party for their golden marriage in the Institute of Contemporary Art, Boston, MA. Over a hundred guests brought their sincere congratulations and best wishes to the couple and celebrated this great event altogether. 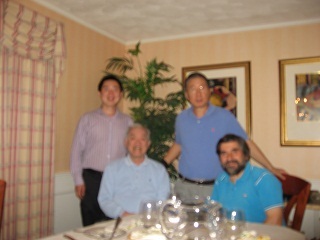 Prof. Weibo Gong, Prof. Cassandras, and Dr. Qing-Shan Jia attended the party. More details are available in http://www.sciencenet.cn/m/user_content.aspx?id=263414 . 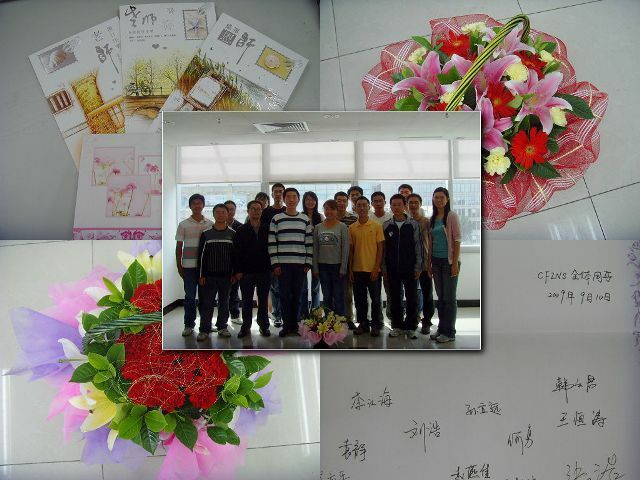 September 10, 2009 was the annual Teachers' Day, students in CFINS has prepared the fresh flowers and the greeting cards, expressing their sincere thanks to teachers. 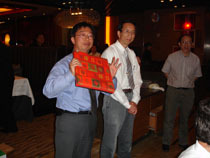 On July 9th, 2009, faculty members & students took a party for 2009s' Graduate. 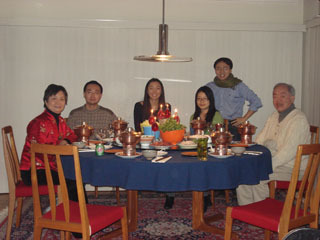 On January 24th of 2009, with friendly invitation from Prof. Yu-Chi (Larry) Ho, the CFINS Ph.D. student Yanjia Zhao who is visiting MIT and two Tsinghua graduates who are studying and working in US went to Prof. Yu-Chi (Larry) Ho's house for Chinese New Year party. 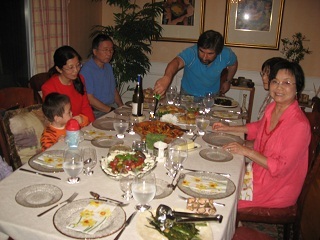 Mr. & Mrs. Ho prepared delicious dinner for their guests. The masters and guests enjoyed a great time until late at night before they knew. 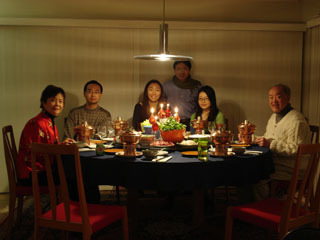 The people from left to right in the first following photo are: Mrs. Ho , Yanjia Zhao, Margaret, Mengdi Wang (graduated from Department of Automation, Tsinghua University, currently a Ph.D candidate of Massachusetts Institute of Technology), Jianxiang Huang (graduated from School of Architecture, Tsinghua University, currently working in US), Prof. Yu-Chi (Larry) Ho. On September 11th, 2008, faculty members & students took a party for the Mid-autumn Festival. 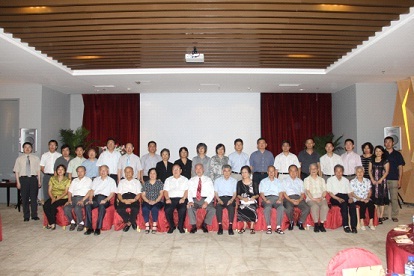 After the workshop on June 21st, the professors and students of CFINS make a retreat in Mentougou located in the suburb of Beijing. 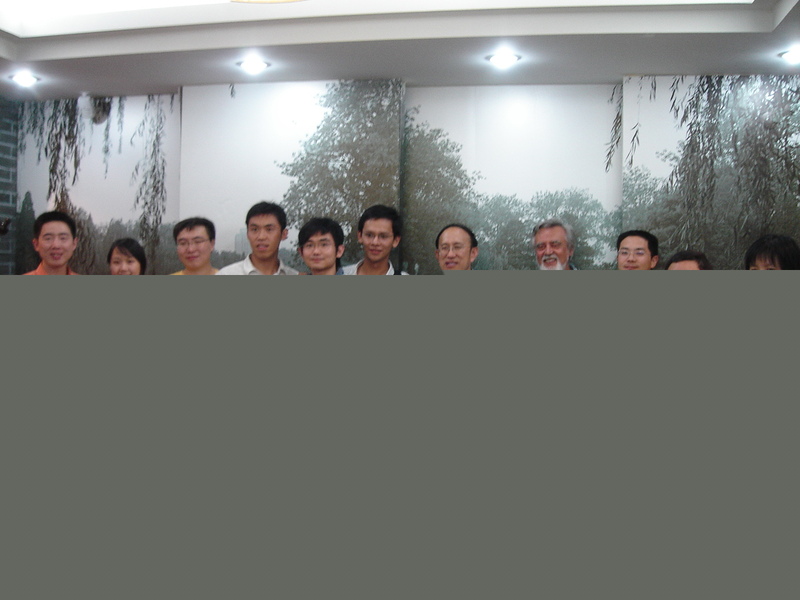 All the professors and students resides in Longquan hotel. 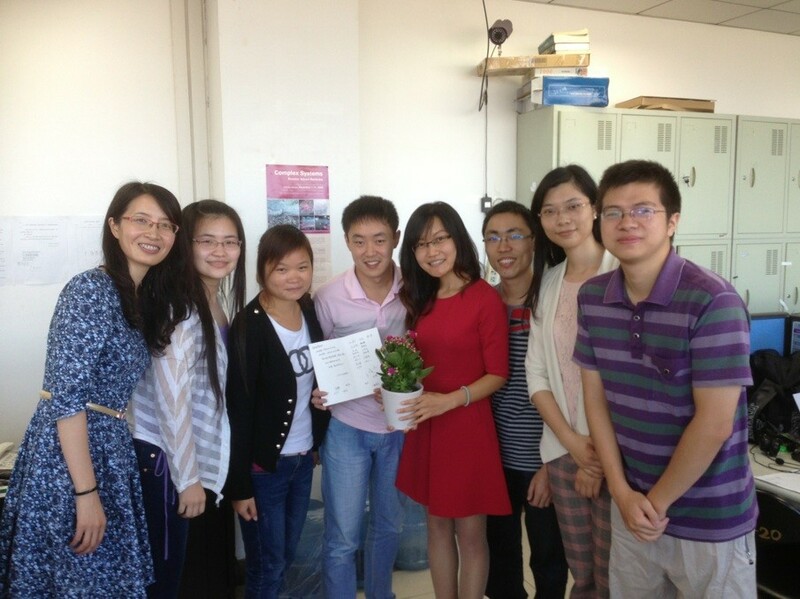 They had a discussion in the morning on June 22nd, on the issue of students' career and the future of CFINS. In the afternoon, they had a tour to the Jietai Temple and Tanzhe Temple. 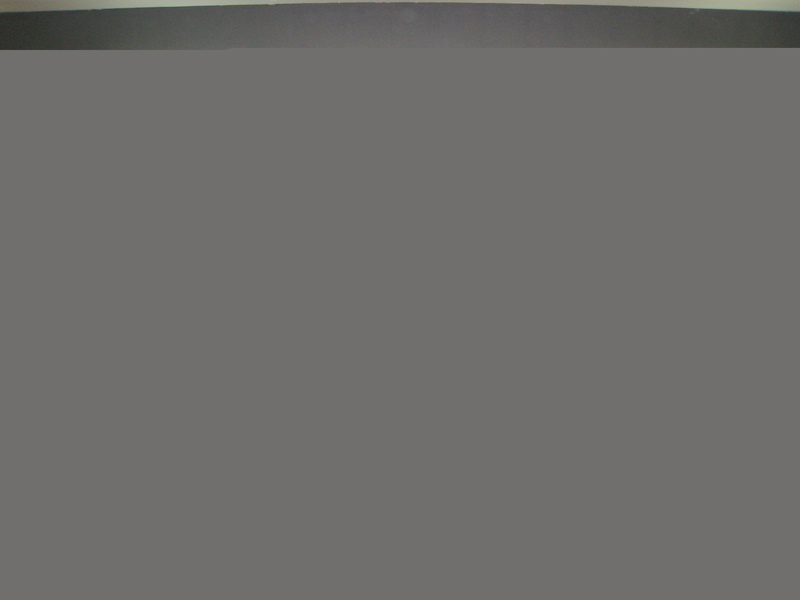 Lec. 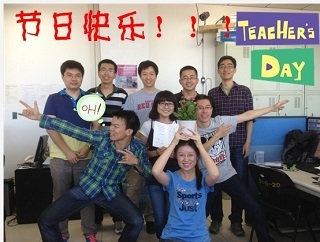 Qing-Shan Jia and two Ph.D. students, Jiang-Hai Li and Tao Sun, attended a voluntary teaching activity which is provided by the Department of Automation from April 28th to May 2nd. 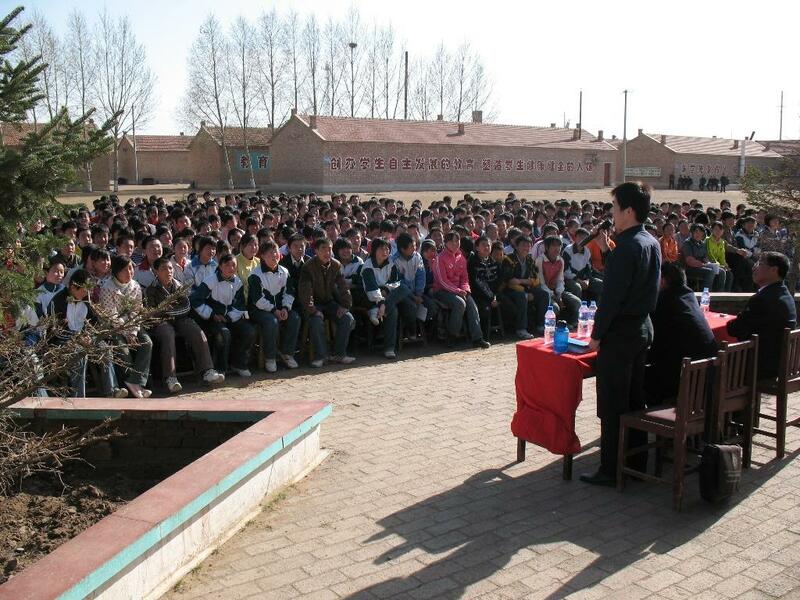 The location is in ErTai junior high school in the county of Zhangbei which is a backward region of Hebei province. The education there is long lagging behind due to the lag of economics and the lack of educational resources. Variant courses, free discussions and formal talks were provided to over 800 students and tens of teachers. The feedback returned is quite positive. 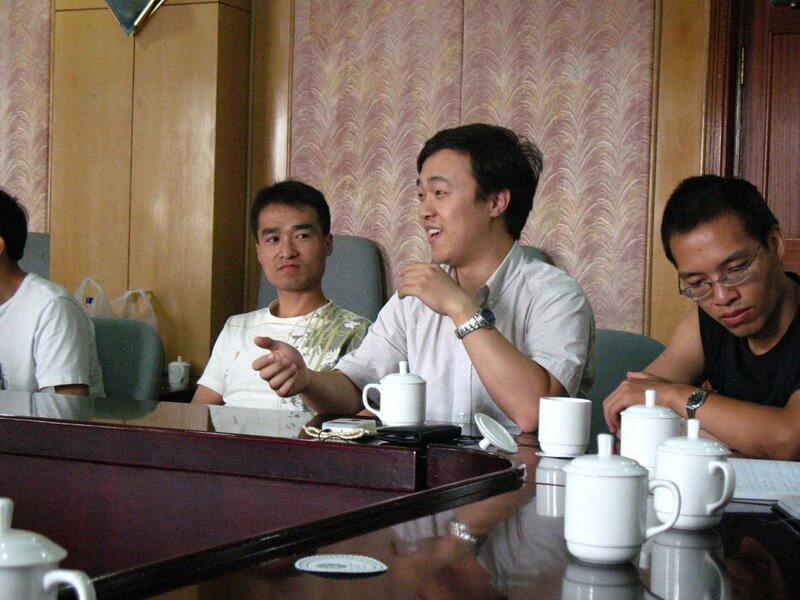 Moreover, Jiang-Hai Li and Tao Sun went to three students' home for face-to-face discussions. 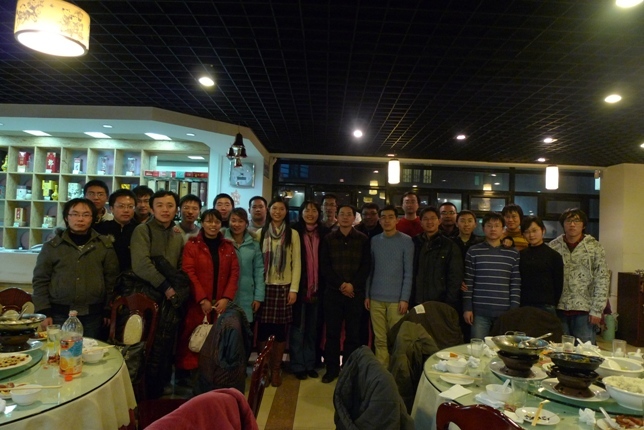 They also visited a local village and the TianLu Sugar Manufacturing Co., Ltd., witch is famous in the north of China. 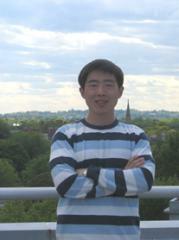 Zhen Shen, a graduate student in CFINS, just finished his visit at the Boston University on May 5. On his way home, he lost the suitcases accidentally in his way to the airport. Then a miracle happens. A very nice man found his suitcases, drove all the way to the airport, and gave the suitcases back to Zhen. For more details, please link to http://www.sciencenet.cn/blog/user_content.aspx?id=24279. 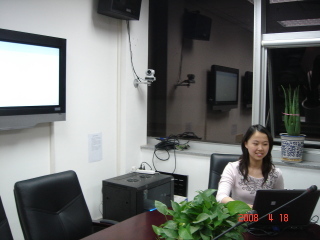 A general meeting of the CFINS students was held on April 16, 2008. Prof. Prof. Qian-Chuan Zhao, Prof. Rui-Xi Yuan, Lec. 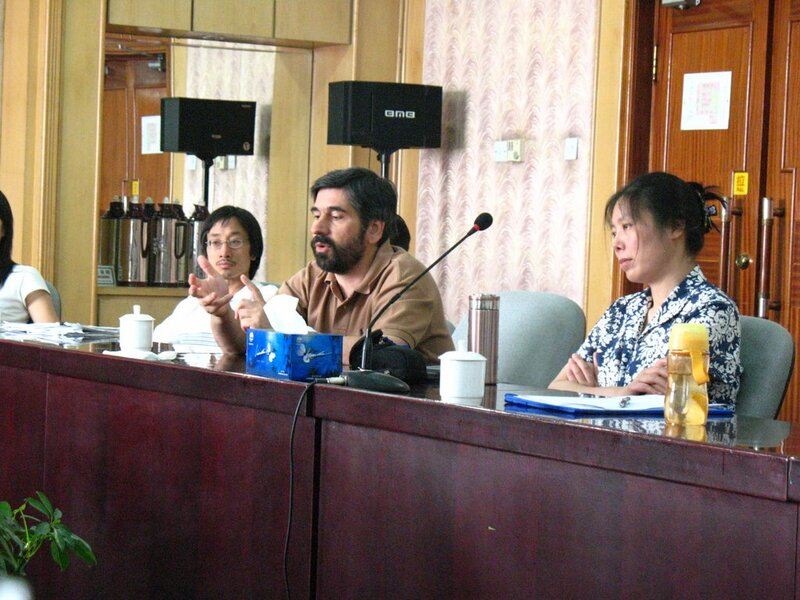 Qing-Shan Jia, and Assistant Ms. Yanqin Li attended the meeting. To make the lab more comfortable for research and graduate study, to enrich and encourage the communication and positive attitude among the students, the CFINS Student Task Group for Innovation Culture (CFINS STaGIC) announced its birth in this meeting. 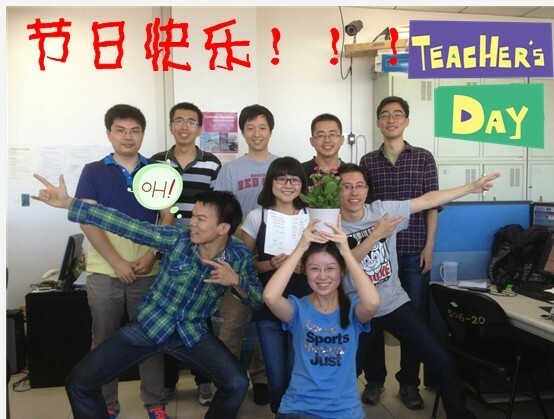 The first team consists of 6 volunteer students, namly (lexicographically ordered) Jiang-Hai Li, Qiang Li, Xin Li, Chao-Bo Yan, Jing Yuan, Yan-Jia Zhao. In the beginning of every autumn semester, the team member will be updated so that all students have the chance to participate. STeamCI will organize various activities and events to enrich the research and graduate study life of the students, and to encourage the communication among the students. The teachers emphasized the purpose of STaGIC, and encouraged all students to actively involved in the management and construction of CFINS lab. All the students strongly agreed. 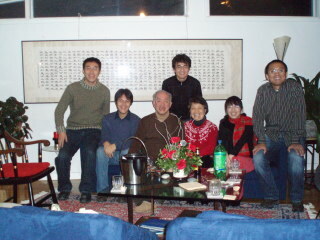 In Christmas Eve of 2007, with friendly invitation from Prof. Yu-Chi (Larry) Ho, the CFINS student Zhen Shen who is visiting Boston University and three CFINS alumni who are studying in Boston University went to Prof. Yu-Chi (Larry) Ho's house for Christmas Eve party. 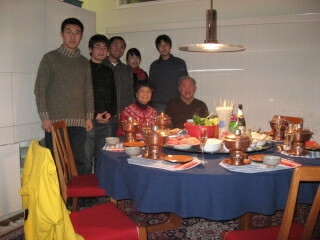 Mr. & Mrs. Ho prepared delicious dinner for their guests. 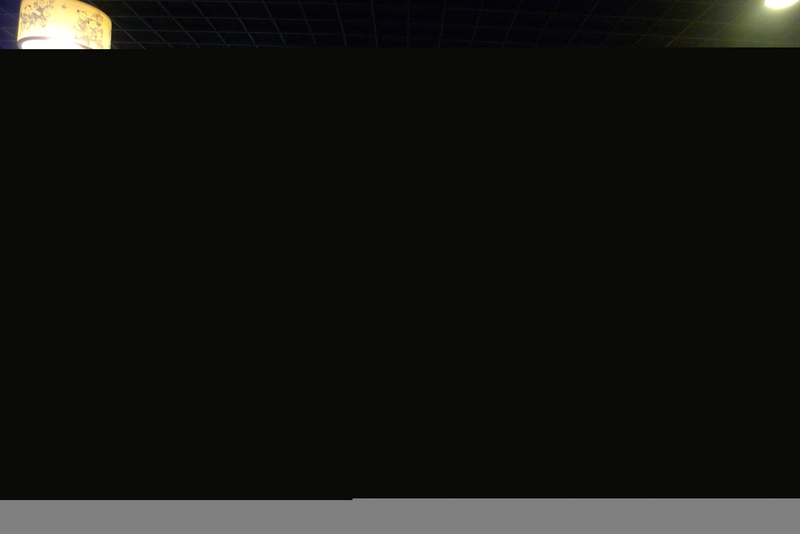 The masters and guests enjoyed a great time until late at night before they knew. 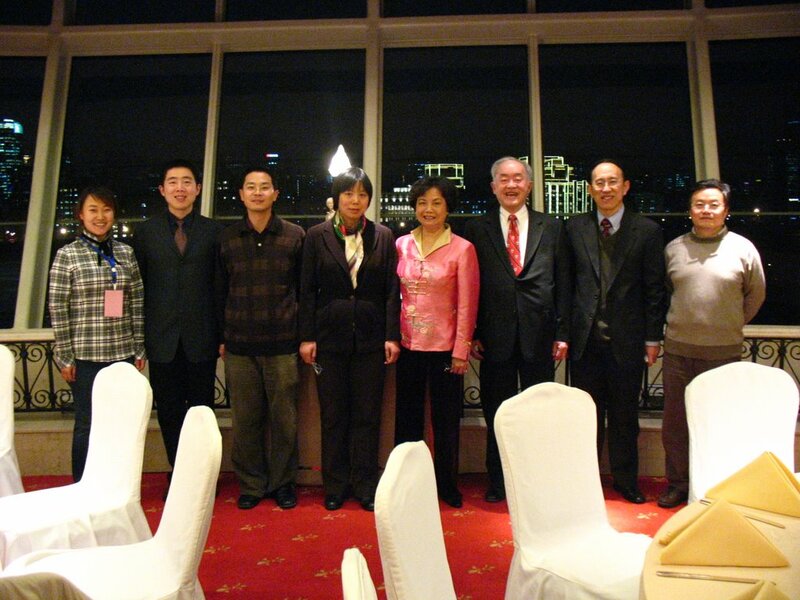 The people from left to right in the first following photo are: Zhen Shen, Jian-feng Mao (Alumnus, master, directed by Prof. Qian-Chuan Zhao), Prof. Yu-Chi (Larry) Ho, Bin-bin Li (Alumnus, directed by A. Prof. Ling Wang), Mrs. Ho, Dong Guo (Alumnus, master, directed by Jing-yan Song), Lin-lin Ye (Wife of Dong Guo, graduated from Department of Chemical Engineering, Tsinghua University, currently a Ph.D candidate of Massachusetts Institute of Technology).